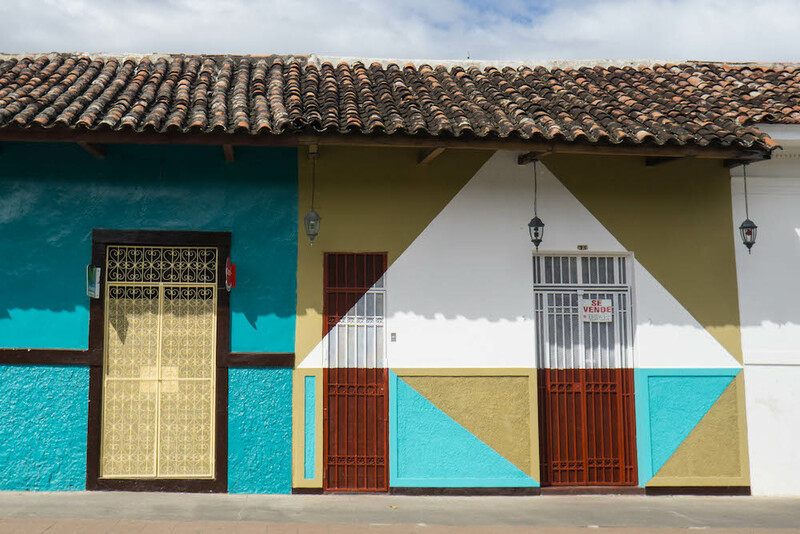 Granada is definitely one of Nicaragua’s more touristy cities. And who’s to blame them? Its famous yellow and red cathedral is practically a postcard come to life. The streets are colorful and (fairly) clean, the crime rate is low, and it’s still one of the cheapest cities around. There are tons of unique things to do in Granada and its surrounding area, so plan for sufficient time to enjoy this gorgeous gem. You may find yourself staying longer than you planned – but at a mere $5 per night for a no-frills dorm bed in the heart of downtown, it won’t strain your wallet. 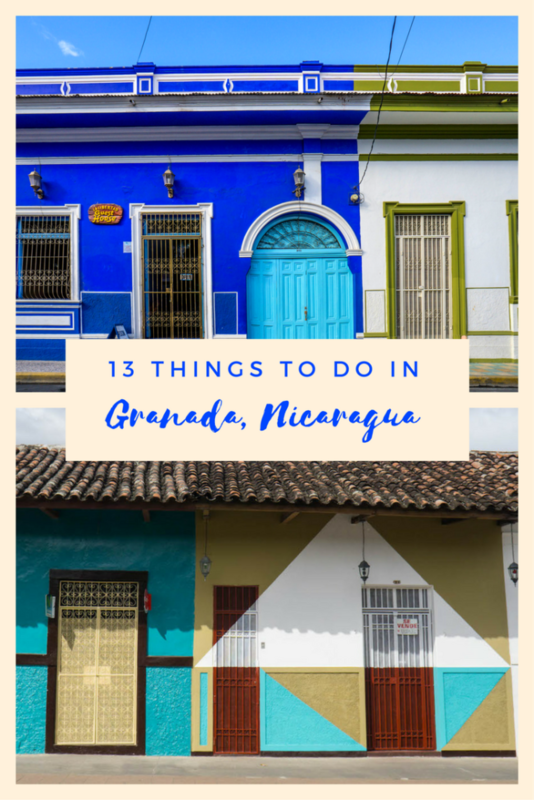 It’s a great place for independent travelers to Central America, so be sure to add it to your itinerary if you’re planning a trip to Nicaragua. Of all the things to do in Granada, this is my favorite. Every day I wandered the streets with a camera, snapping away happily. 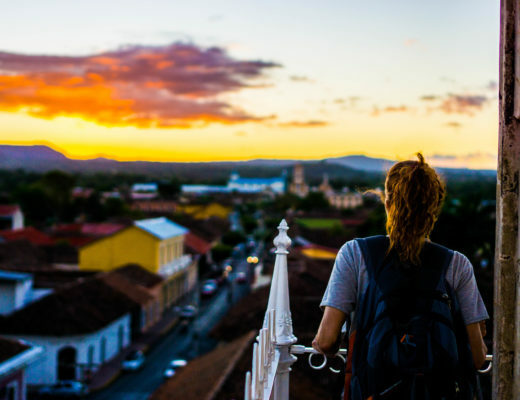 Granada is simply a photographer’s dream. 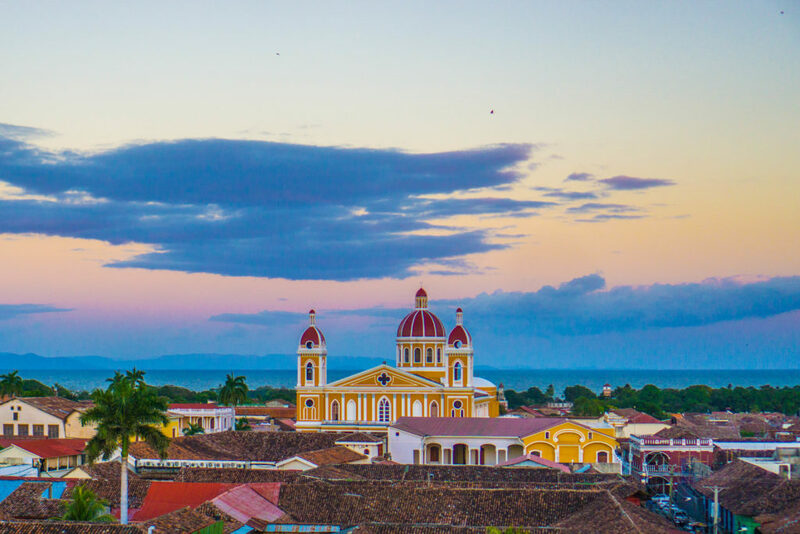 From the candy-colored colonial buildings to the way the way the sun hits the city as it sets, to the tiny peeks of Mombacho off in the distance you get on certain streets, there’s really no city I’ve seen that quite measures up to Granada for charm. Granada is beautiful, but it’s also hot. Really freaking hot. For $6 USD, you can get a day pass to enjoy the “Mombacho Beach Club,” the private pool and bar at Mansion de Chocolate. The 60 foot long pool is hidden in the courtyard of a luxe colonial villa, a true hidden gem in Granada. You also can get access to the pool with any spa service, which – since they start at $9 USD for a pedicure or $12 for a 30 minute body massage – is a pretty great deal! Up the belltower of Iglesia La Merced, about three blocks from Parque Central (an accurate name, albeit quite smaller than this New Yorker’s idea of Central Park) is the best view of Granada. 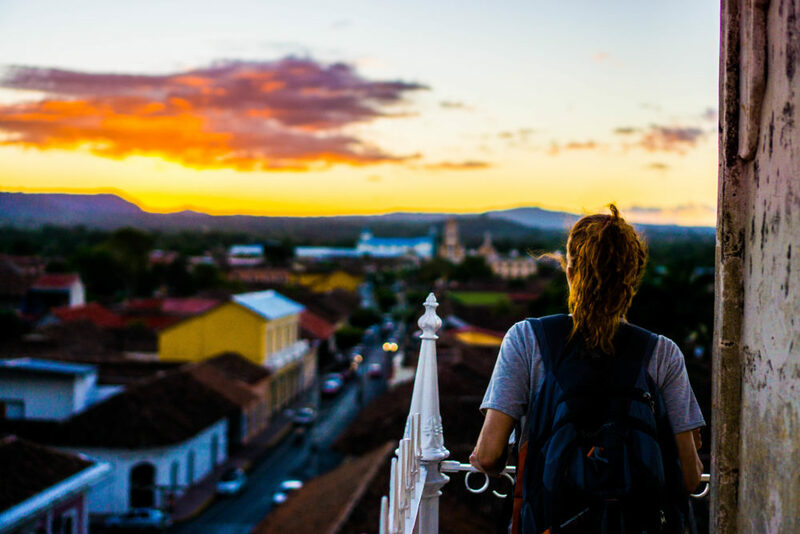 Go around 5 PM (it closes at 5:30) as the sun begins to set for some truly epic sunset photos and the best view of all of Granada. The best dollar you can spend in all of Granada! Laguna de Apoyo is one of Granada’s most loved day trips: where else can you swim 200 meter deep water in the caldera of an extinct volcano? Daily shuttles will whisk you away to nearby Laguna de Apoyo for under $15, which includes roundtrip transport and a day pass to use the amenities of one of the hostels on the lake. Note: it’s cheaper if you book directly from the Bearded Monkey Hostel! 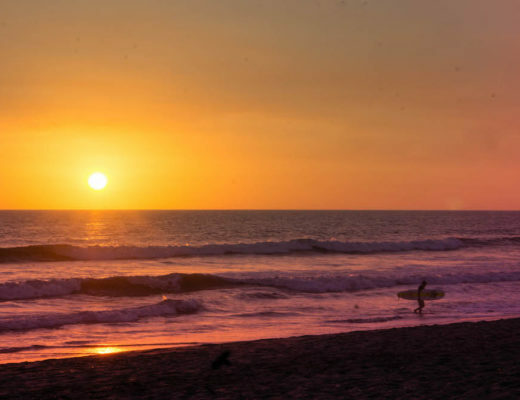 You can borrow kayaks or standup paddleboards, relax on the beach, take a dip in the warm waters, or just drink some beers on the shores of this natural beauty. 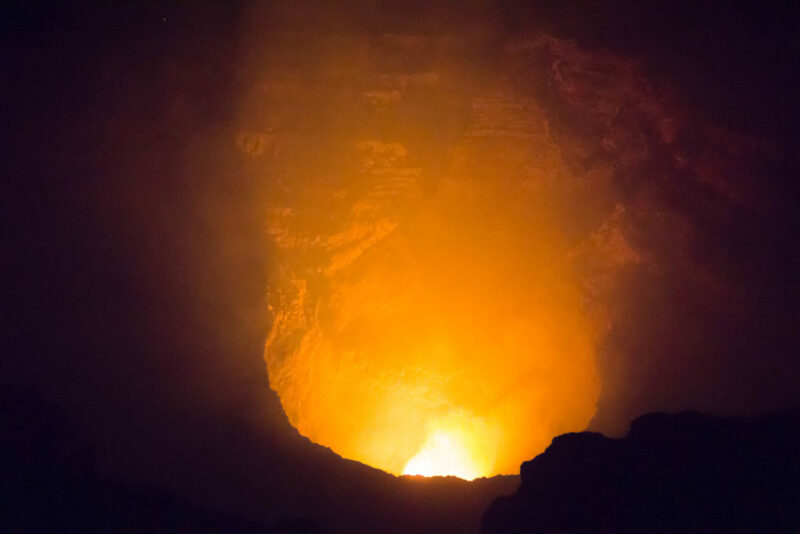 For a geology nerd like I am, this is easily one of the coolest things to do in Granada – or even all of Nicaragua. It’s best to go with a tour, as it’s very difficult to go independently at night (it’s much easier by day). A tour will cost you about $15-20 and include roundtrip transport and the entry fee. You’ll arrive there early, before the park reopens after dark, and have to wait a bit. Pro tip – leave your transport and go to the small store nearby for cheap Toñas to pass the time. The vendors walking around will charge you nearly a dollar more! Parque Central is the heart of Granada, and one of my favorite things to do in Granada is just observing people going about their daily life and taking a beat to rest in the park. Just don’t go near sunset – whatever kind of birds there are in the park go absolutely insane when the sun starts to set and you can’t get a peaceful, non-bird-crap filled second. Much better to go in the daytime. Nearly everyone who goes to Granada will end up at the Garden Café at one point or another – it’s fairly cheap, the staff is friendly and fluent in English, they make great sandwiches, and the coffee is the best I found in the city. Sandwiches will run you about $4-6 and coffees about $1-3. They also make a killer michelada, which I had many of while “working” on my blog. 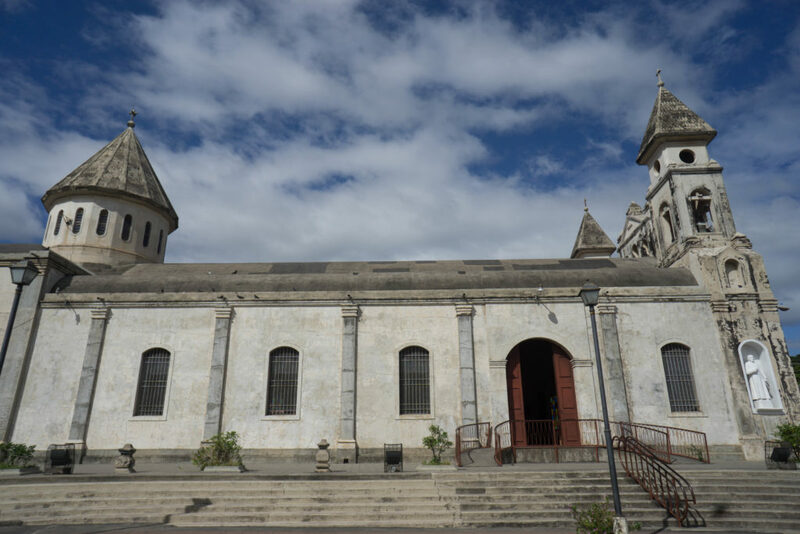 As a Catholic country, Nicaragua has no shortage of beautiful churches. What I thought was so fascinating about Granada was how diverse the architectural stylings of all the churches were. 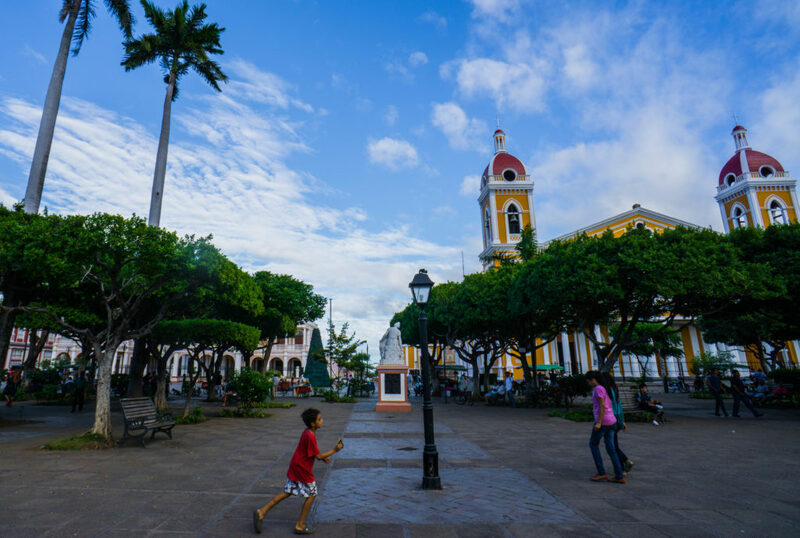 Iglesia Guadeloupe and La Merced are both rather plain and almost like abandoned castles in their stateliness; Iglesia Xalteva and the famous red and yellow Granada Cathedral are a riot of color. 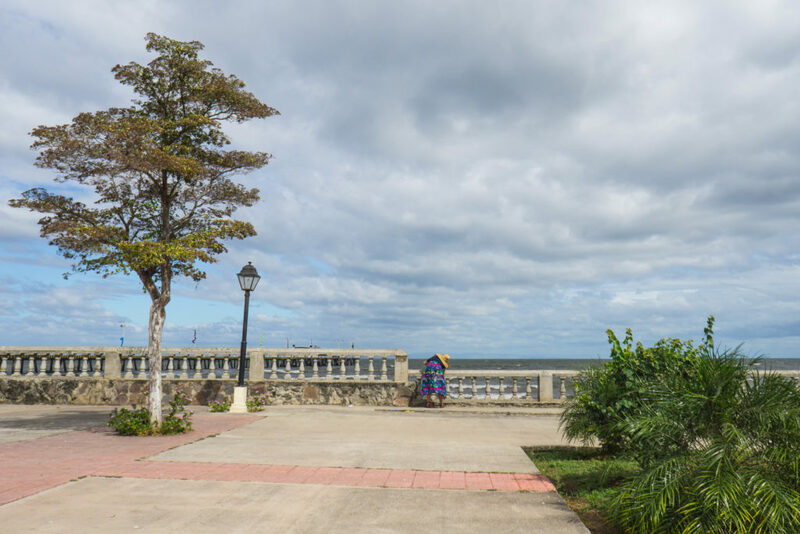 Granada is right alongside Lake Nicaragua, the largest lake in Central America. 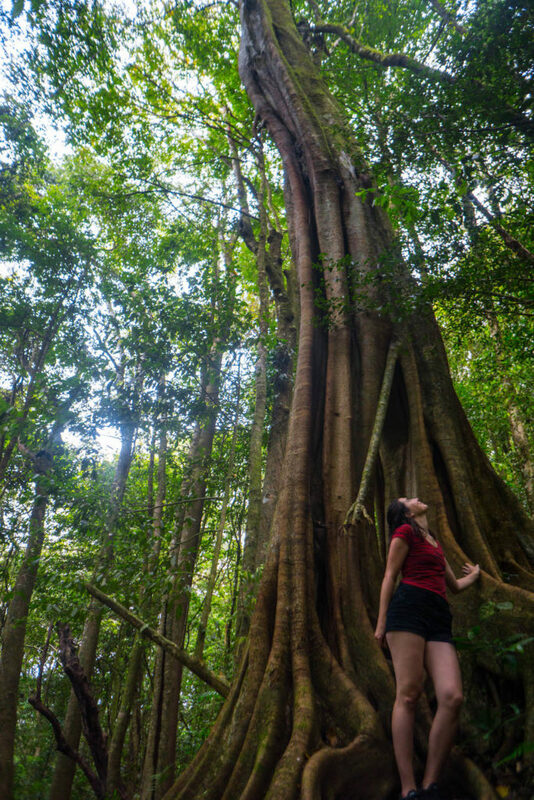 While it’s a popular activity to rent a kayak or go for a tour of “las isletas” – the series of 365 mini-islands in the middle of Lake Nicaragua near Granada that came from Mombacho’s last eruption – I opted not to. Why not? There’s an island where they’ve stranded five monkeys and dubbed “Monkey Island” that they take all the tourists to. 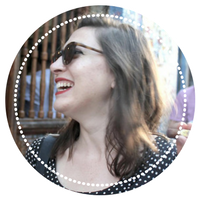 I didn’t want to support that, and there are plenty of other things to do in Granada. Instead, I opted for a stroll along the waterfront. Note: this area is supposed to get sketchy at night – I didn’t test my luck – so save your walks for daytime. If you’re tired of ticking off all the various things to do in Granada, PURE is a great place to unwind. They have drop-in yoga classes ranging from vinyasa flow to gentle yoga to acro yoga, all for $5 per class. Another great deal is the hourlong massage + yoga class + vegetarian meal deal for $31 USD. Just the perfect thing to treat yourself while sticking to your budget! 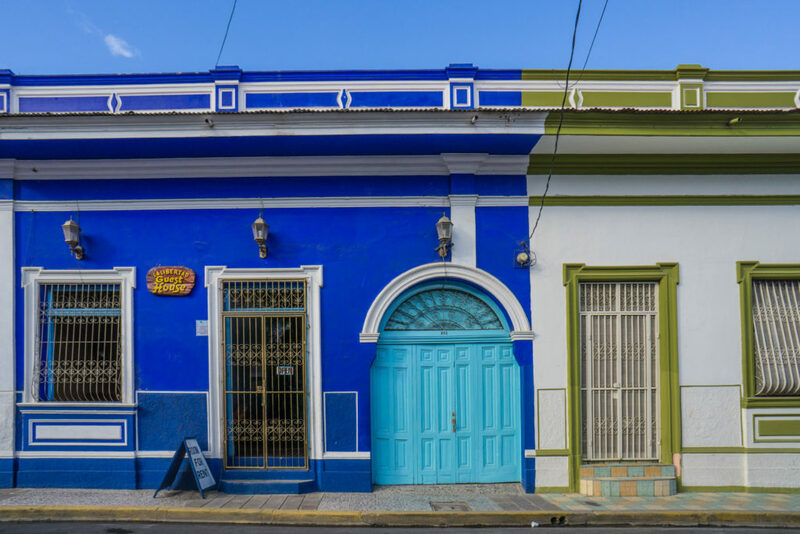 Nestled on the bank of Lake Nicaragua, Mombacho looms on the horizon of Granada’s colorful colonial streets. While it once was violently active – an eruption left so many mini islands in the lake there’s literally one for each day of the year – it’s now peaceful enough to be home to beautiful flora and fauna. There are various hikes you can do of varying intensities. The Crater trail is short and you are permitted to do it without a guide; the Puma trail is the longest and requires you to go with a (paid) guide. Yes, as in get covered in chocolate, scrub it all off, and then enjoy a dreamy massage afterwards. The price tag for this one of a kind experience? Only $34 for one hour. La Calzada is Granada’s main tourist stretch, with no shortage of bars and restaurants for you to choose from. Around sunset, lots of great happy hour deals abound — think al fresco two-for-one mojitos accompanied by views of the iconic Granada cathedral. Yes please! That chocolate massage sounds lush. I must have missed that one. Definitely, will be returning to Granada especially for that!